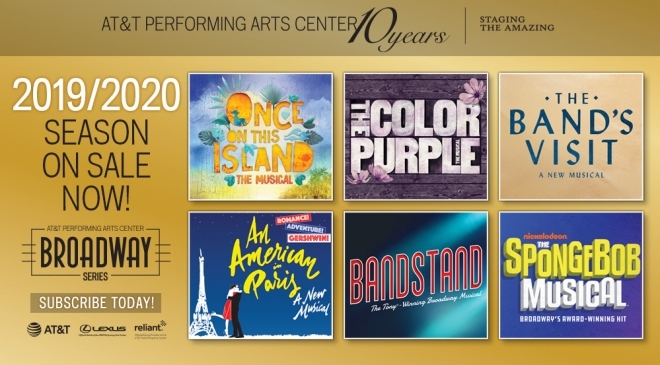 The Center’s Broadway Series 2019/2020 season is a stellar selection of the best of Broadway! It represents 27 Tony Awards including two Best Musicals; two Best Musical Revivals; three Grammys; Drama Desk and Outer Critics Circle Awards for Best Musical. All performances are in the stunning Winspear Opera House, in the heart of the Dallas Arts District. This is the first season that embraces the new groundbreaking partnership between the Center and Dallas Summer Musicals. As part of this, the Center’s 2019/2020 season will include The Band’s Visit as a package show, and Blue Man Group as an optional add-on. When you subscribe, you will be among the first to enjoy the benefits of this exciting collaboration between these two beloved Dallas institutions. PRESALE TICKET ACCESS Purchase additional tickets before they go on sale to the general public. LOCKED-IN TICKET PRICES Discounts for season ticket holders on single tickets will not change even if single ticket prices go up. SWAP-A-SHOW Season ticket holders can swap out of one season show and into a season add-on or any of the other season shows. PAYMENT OPTIONS Renewing Broadway season ticket holders have the option to make two payments on their season tickets. TICKET EXCHANGE Only subscribers can exchange tickets to another performance of the same show. EXCLUSIVE EVENTS Receive invitations to exclusive season ticket holder events. Available only to 2019/2020 Broadway Series season ticket holders. You will be presented with the opportunity to add tickets to Once and Blue Man Group when you subscribe. 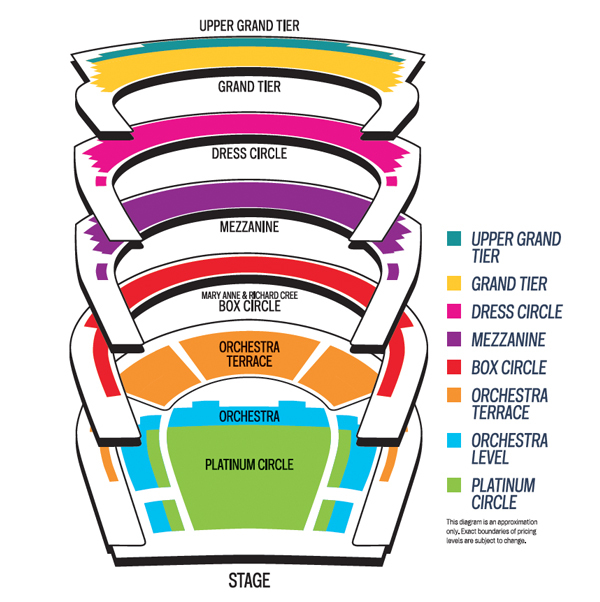 Platinum Circle subscriber seating requires an annual contribution of $1,000. Platinum Circle Members enjoy season-long access to the PNC Members Lounge, exclusive presale offers, complimentary drinks and much more. For a complete list of donor benefits provided at all Center Presents events click here or contact Membership Services at membership@attpac.org or 214.978.2888. Located directly beneath the Winspear Opera House, Lexus Red Parking is the most convenient way to get to (and from) your Broadway Series performances. Season ticket holders have the opportunity to purchase discounted prepaid parking for each performance in your package. 1 Season tickets are purchased and issued subject to the policies and regulations of the Center. Pricing includes handling and facility fees. All tickets are non-refundable. No tickets purchased pursuant to a season ticket package may be resold for any amount other than the price printed on the ticket. Tickets acquired hereunder may not be resold, transferred or distributed to any ticket broker. Missed performances will NOT be refunded. Times, artists, performers and location are subject to change. The Center is compliant with the Americans With Disabilities Act. We welcome all patrons and offer a variety of services to meet any special need. Renewal privileges are extended at the discretion of the Center and are subject to revocation at any time. The Center anticipates that season ticket holders will have the opportunity to renew in the subsequent season. The Center, in its sole discretion, reserves the right for any reason whatsoever not to renew any season tickets or change the seat location previously assigned to the subscriber.